What do pugs, flamingoes, and owls have in common? The answer is not the punchline of a terrible joke, it's that they're all so in style right now, whether it's on clothes, postcards, cups, or little figures. These animals are everywhere, even in the kitchen, as our amazing cake proves! 1. 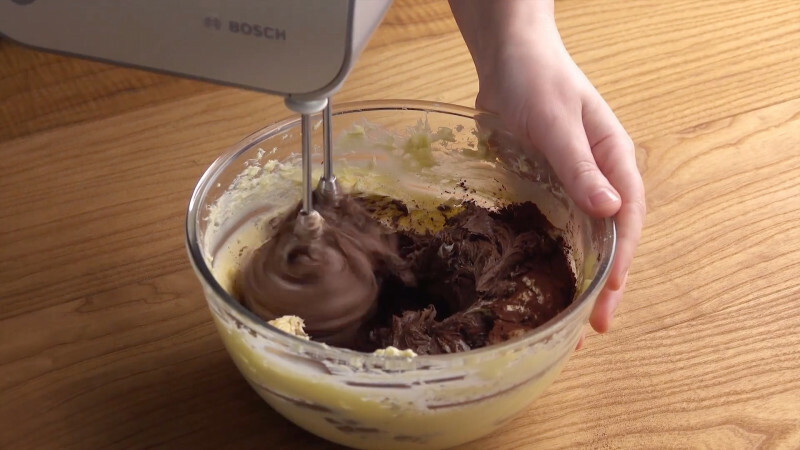 Beat the eggs and sugar with an electric whisk until they're foamy. Add the buttermilk, vanilla flavoring, flour, cocoa powder, baking powder and salt to the batter and mix them in thoroughly. Finally, add the butter and mix everything one last time. 2. Divide the batter into three portions. 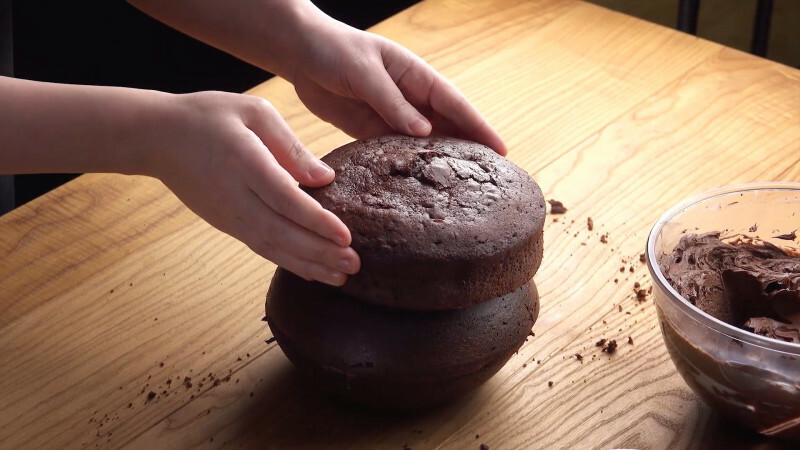 Place two portions in hemispherical baking molds. Put the last one in a small springform pan (diameter: a little over 6 inches). Bake all three cakes in a convection oven for 45 minutes at 340°F. 3. 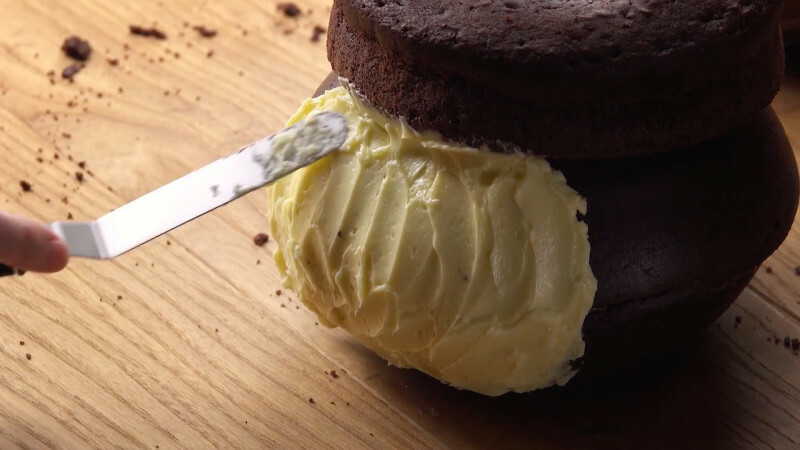 For the buttercream, beat the butter, then add the sugar. 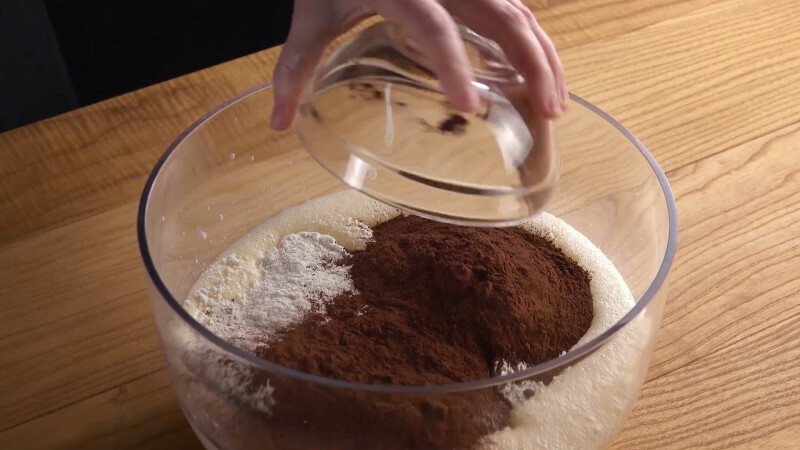 Remove about four tablespoons and set them aside in a separate container. 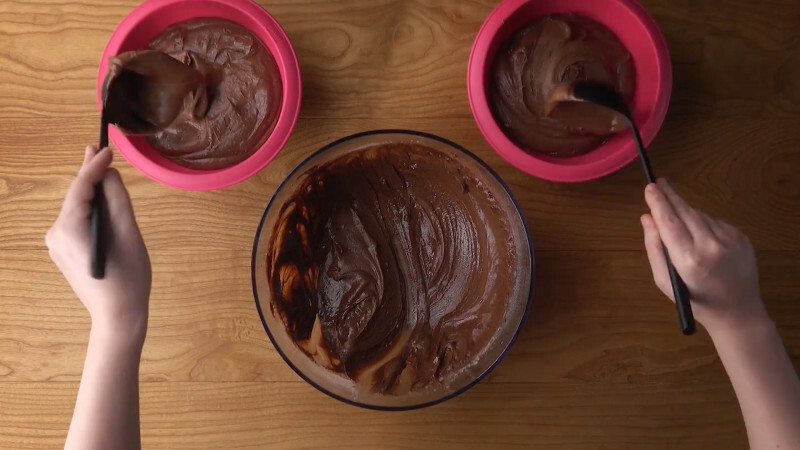 Mix the larger, leftover, portion with the cocoa powder and the nutella. 4. 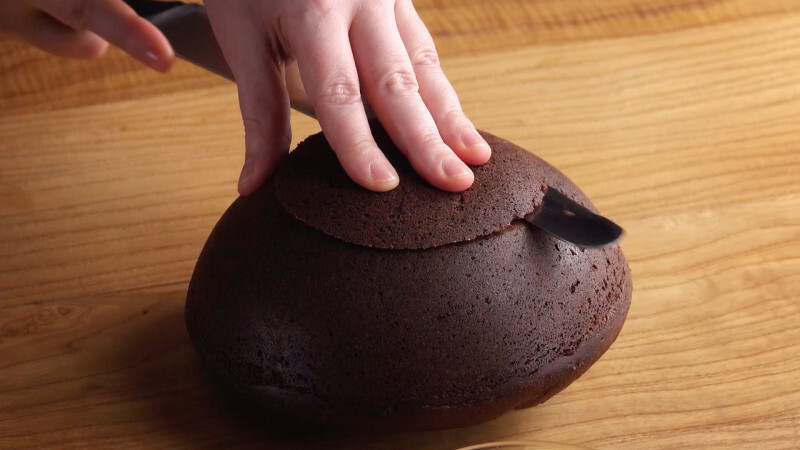 Turn the cooled cake hemispheres out of their molds and cut off a slice a little under an inch thick from the top of each dome. 5. Turn the hemispheres over and cut away what is now the top surface of the cakes. 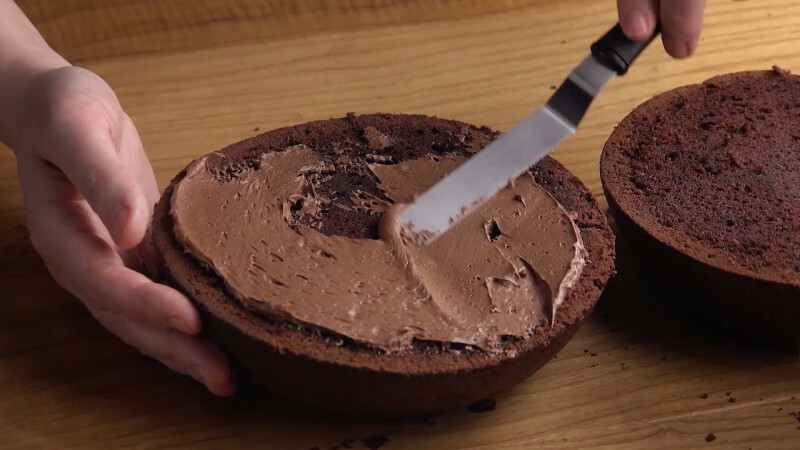 Generously spread one of the cut surfaces with the Nutella buttercream, then stick the two cakes one on top of the other to form a globe. 6. Spread more buttercream on the cut surface at the top of the assembled ball, then place the third cake from the springform pan on top. 7. 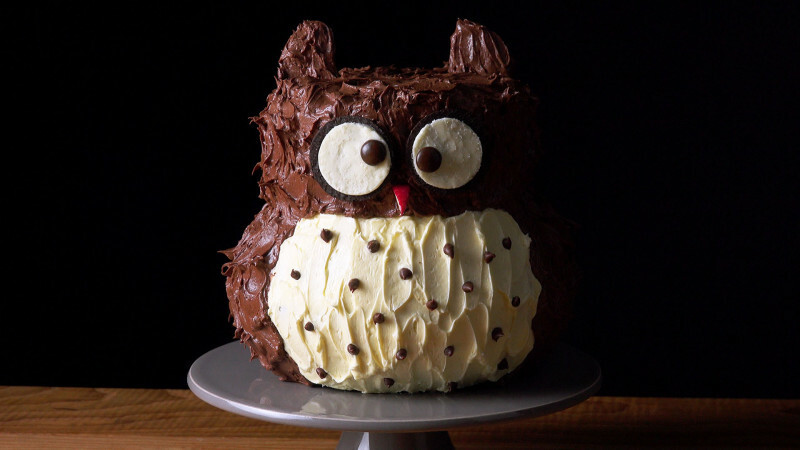 Spread white buttercream on the front of the ball to create the belly of the owl. 8. 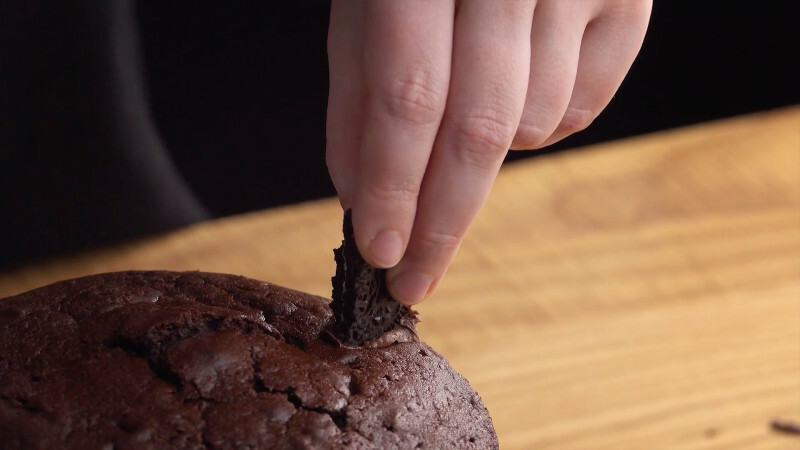 Pull apart the Oreo cookies and break the two segments without cream in half. Fold the halves together, dip one end in the Nutella buttercream and press the cookies into the uppermost cake, to give the owl its ears. 9. 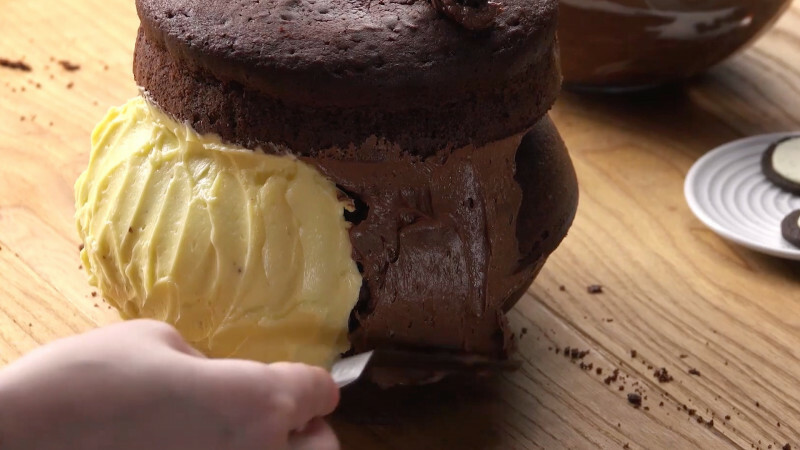 Now cover the cake completely with the rest of the Nutella buttercream, including the ears. 10. 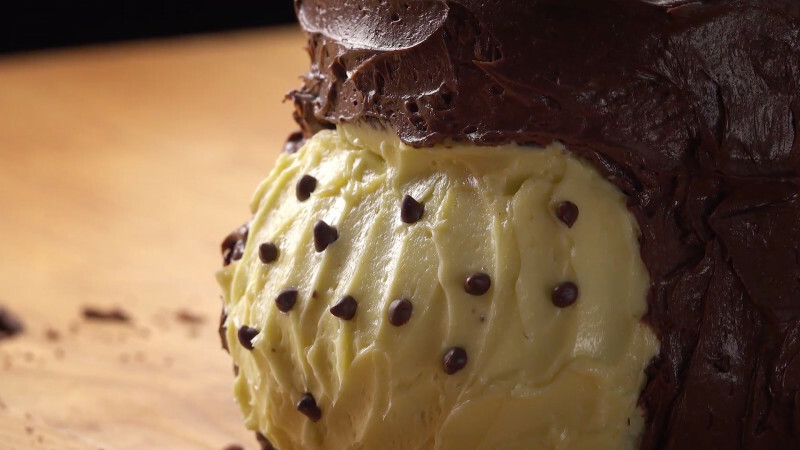 Set chocolate drops in the white buttercream a sufficient distance apart from each other. 11. Cut the tip from the apple slice and press it into the owl's face for the nose. Place the leftover Oreo halves with the cream either side as the eyes. Stick on the M&M's for the pupils.